I dove headlong into the world of freelance illustration, a pursuit that kept me occupied for three more years. Tell us a little about Red Raven Games. Who you are and what you do? 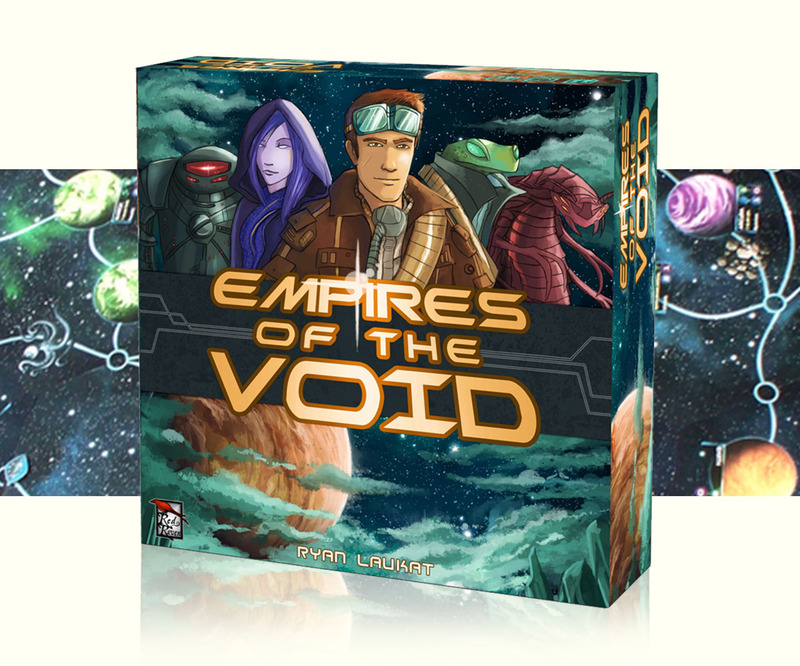 Red Raven Games is the publishing company I started in 2011 so I could publish my board game, Empires of the Void. Since then, I’ve published over 15 products. My goal with Red Raven is to create imaginative, thematic, engaging games with a focus on being family-friendly and inclusive. You games bio goes from Eight Minute Empire, Near and Far, Above and Below, Empires of the Void and I could go on. 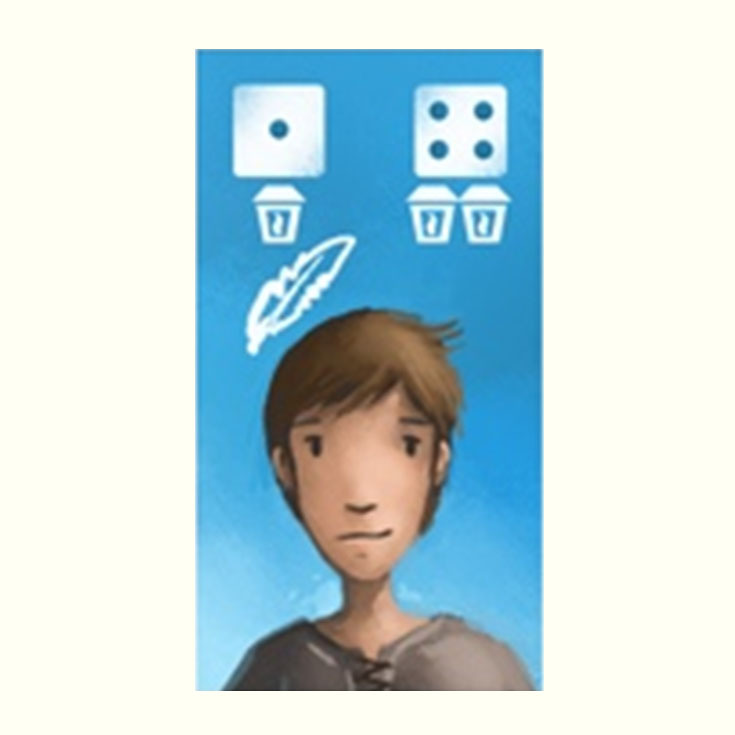 Do you make both illustrations and graphical design on all of your games? I do both, but I enjoy the illustration part much more. Graphic design is the “eating the vegetables” part, but I feel it’s important that I control both aspects. I want the graphic design to be as organic as possible, and to match the illustration style. 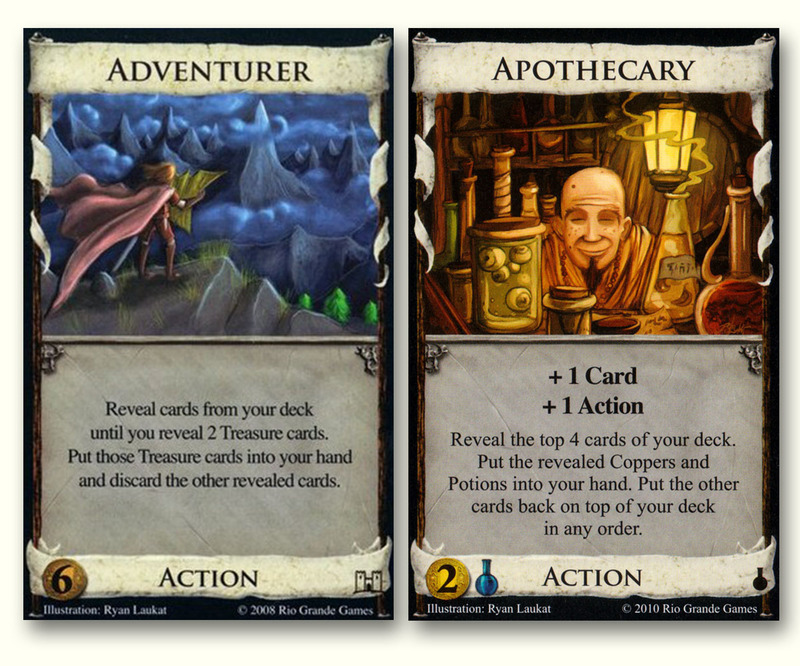 Since you design and illustrate games both, how “final” in style do you work on the art in your prototypes? It’s always changing throughout the design process. Fairly early in the design, I start work on the art, but it goes through many shifts throughout the development and sometimes only vaguely looks like what it did at the start. Graphic design changes the most. I usually layout cards four or five times before the end. I don’t spend much time sketching. I like to work with paint as if it were clay. I throw down some blobs of color and work with it until it turns into the shapes I want. 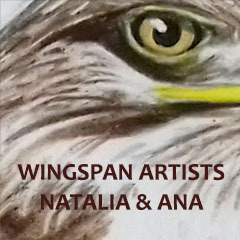 I usually paint from dark to light, adding detail as I lighten the illustration. I almost exclusively create in Photoshop, using a ten-year-old Wacom tablet. I think art is much more powerful when you can see the brush strokes. 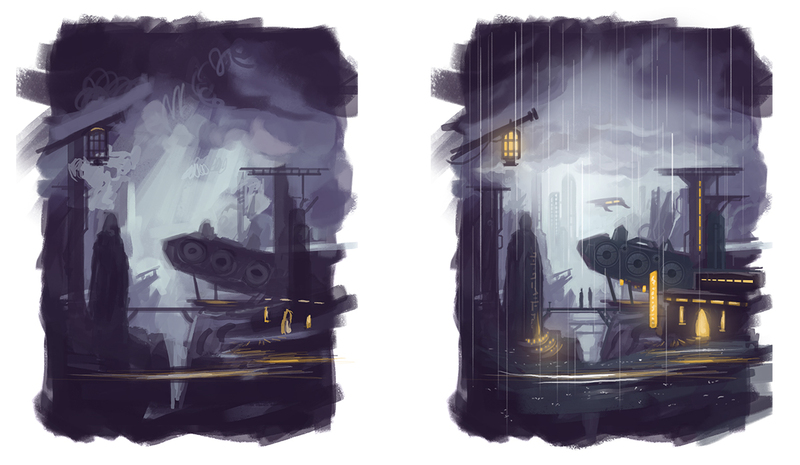 I would describe you art style on games as quite impressionistic and loose. Your line work and colors seems to be made with a small variety of brushes. And everything comes together beautiful. Is there a functional reason for your art to be ‘rough’? I think art is much more powerful when you can see the brush strokes. It feels more organic and alive compared to much of the work that is created in this age of perfect 3d rendering technology. What do you think makes good game art? I love game art that immerses me into the world of the game. A unified color palette, tantalizing detail, and an emotional rendering are key to accomplishing this for me. For graphic design: make the iconography easy to understand and obvious. This is always a struggle for me, and my goal is to improve with each game. For illustration: it’s important to think of the game as one large piece of art, rather than a bunch of different illustrated elements. What is the story behind the ‘alien’ letters that can be found on many of your artworks? Playing your games feels like everything is bound together. What has been the biggest challenge in making game art? With each game, I feel like I’m learning how to do art all over again. It’s a big struggle to create the right look, and I find myself constantly redesigning cards, altering the color pallet, and tweaking illustrations until they look right. I use Photoshop for illustration. Years ago I bought a Wacom Cintiq, which has a screen on which you can draw, but I soon stopped looking at it and learned how to draw on the tablet while looking at the screen. 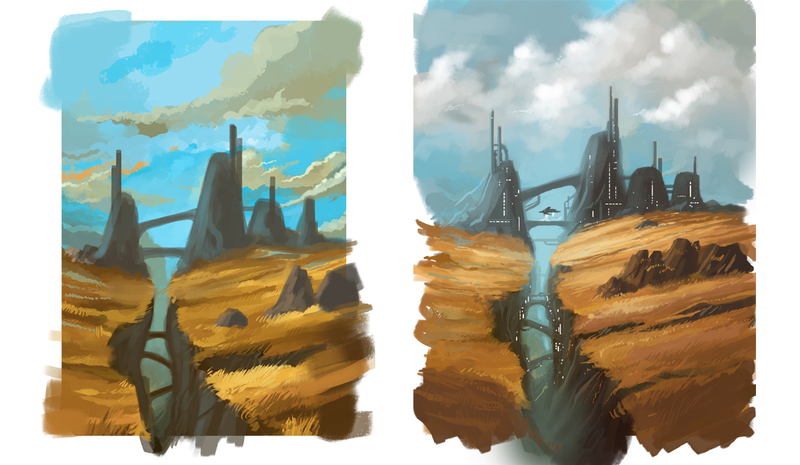 Doing this helped me become a faster and more efficient painter. For layout, Adobe Indesign is essential, especially for books of any kind. Can you name up to 3 artists/designers you admire? I’ve been most inspired by Bill Watterson, Hayao Miyazaki, and Paul Kidby. One of my favorite works of game illustration is Lewis & Clark: The Expedition by Vincent Dutrait. It has a gorgeous color pallet and an organic look that works well with the setting. I love all of the historical characters that have their own cards. Another favorite is Cyclades with art by Miguel Coimbra. 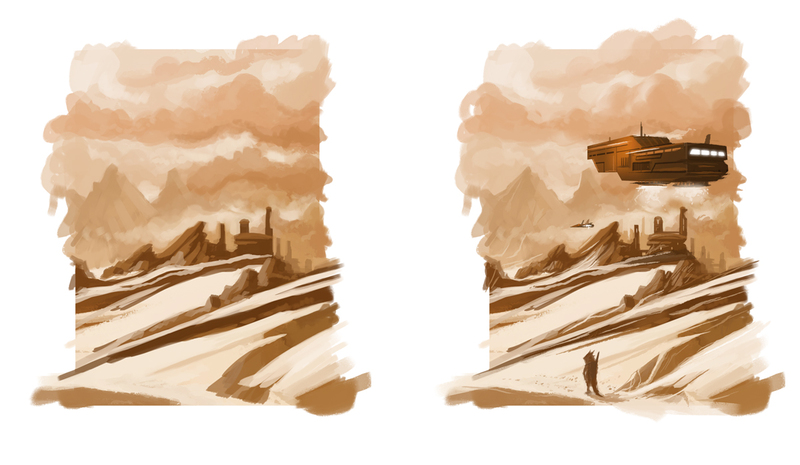 I’m currently working to finish up the art for Haven, a game designed by Alf Seegert. It has a city vs. forest motif that is fun to work with. It’s been fun to contrast the mechanical city with the earthy forest. Finally – is there any place for inspiration, creative tutorials, personal shop links, upcoming projects or other resources you want to advocate? “Sinix Design” is one of my favorite current Youtube channels, and has some of the best and most informative tutorials I’ve ever found on creating digital art. Also, be sure to visit redravengames.com and sign up for our newsletter to hear about upcoming Kickstarter projects! Thank you Ryan! We certainly look forward to play more games from Red Raven Games. I would like to also urge anyone reading, to activate the Bell in the lower right for browser notifications or sign up to GHG newsletter.